A wave of hostility directed at refugees, immigrants, Muslims, Jews, African Americans, Latinxs, LGBTQ communities, and other minorities has become apparent in the United States and across the globe. As teachers and researchers in Jewish Studies at UNC Chapel Hill, we are committed to speaking out when the lessons of Jewish history are relevant to the present. Jewish history has taught us that when a group of people is singled out as dangerous and targeted—whether based on religion, national origin, citizenship status, race, color, disability, gender, gender expression, gender identity, genetic information, sexual orientation, or veteran status—this constitutes a threat to all of civil society. 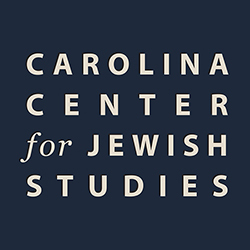 We therefore affirm the Carolina Center for Jewish Studies’ commitment to fostering a welcoming and inclusive environment for its faculty, students, staff, and community and value the perspectives that diverse traditions and the free and open exchange of ideas bring to the academy.